All the fighters slated to participate in tomorrow night’s “UFC 170: Rousey vs. McMann” event tipped the scale Friday inside Mandalay Bay Events Center in Las Vegas, Nevada. 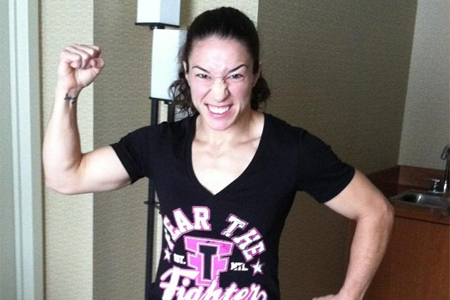 Sara McMann (pictured) challenges reigning bantamweight queen Ronda Rousey for her crown in Saturday’s main event. Daniel Cormier makes his light heavyweight debut against unexpected bitter rival Patrick Cummins in the co-featured attraction.